I love the build up to Christmas, always have since I was a little girl and even more so now I have my own children. The anticipation of Santa coming, the worry of staying off the naughty list, the sparkle of the lights, but most of all the excitement that builds in the depth of your stomach from the very first day you open the door in your advent calender – counting down the sleeps to Christmas. The boys prepared them selves for the how many sleeps until Christmas day and Lucas’ birthday on Christmas eve with an app. It plays a tune and they’ve been driving us nuts with not just how many sleeps until Christmas, no, but how many hours, minutes and seconds to Christmas. Do you think they are looking forward to it? In preparation for Christmas we have been very busy. Here is the Lucas helping Aria to open her very first advent calendar door on the 1st. 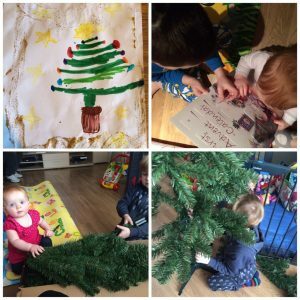 A very sweet moment.Tyler drew a gorgeous Christmas tree and then we started on one of our favourite Christmas preparations, putting up the Christmas tree. With this being Aria’s first Christmas she was particularly interested in the tree and helped Tyler and I put it together. I go for an artificial tree rather than the real one. The real ones look and smell lovely, but I didn’t want the pine needles about on the floor with Aria as she’d eat them. Tyler got into the Christmas spirit. I added the lights to the tree and the boys helped with the tinsel and we all put the decorations on the tree. It was a lot of fun. 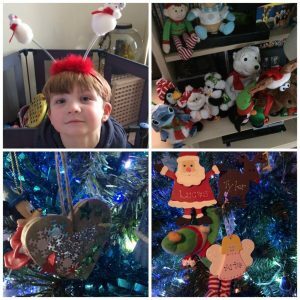 We added all of the boys first Christmas baubles and the special decorations we have built up over the years, including some of the homemade ones like the little wooden heart above that Lucas made at school. Ollie the elf, more about him in my next post about counting the sleeps until Christmas, brought up some new Christmas decorations with the children’s names on them. Since before the children were born, I started collecting Christmas toys. You can never really have enough stuffed animals that light up and play Christmas tunes, can you? Our Christmas tree in all it’s glory. What do you think? With 24 sleeps to go, out comes the Little People nativity. I love this and so do the kids. It’s perfect for Aria at this stage. And let’s not forget Happy Land. Santa and Rudolph along with Mr Snowman and a Christmas tree, paid a visit to the cottage. 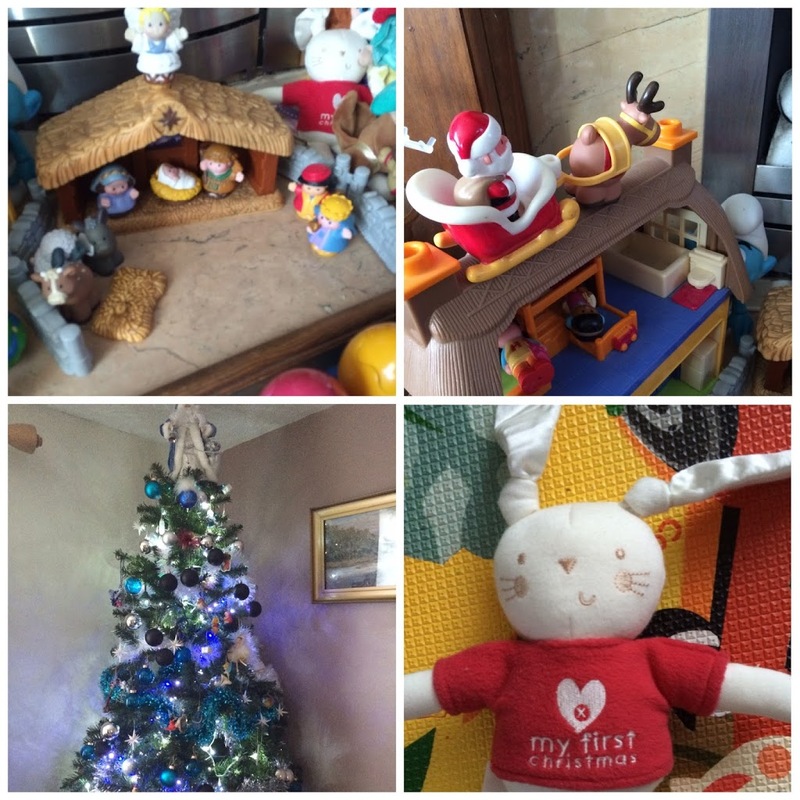 We had to through a baby’s first Christmas teddy in there, a new addition to our Christmas toys. She’s adorable. 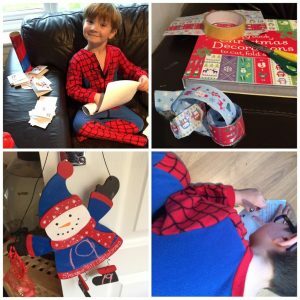 The boys wrote their Christmas cards for school friends and made some paper chains. A fun Christmas tradition for us, one we do every year. The boys hang the paper chains on the bunk beds in their room. 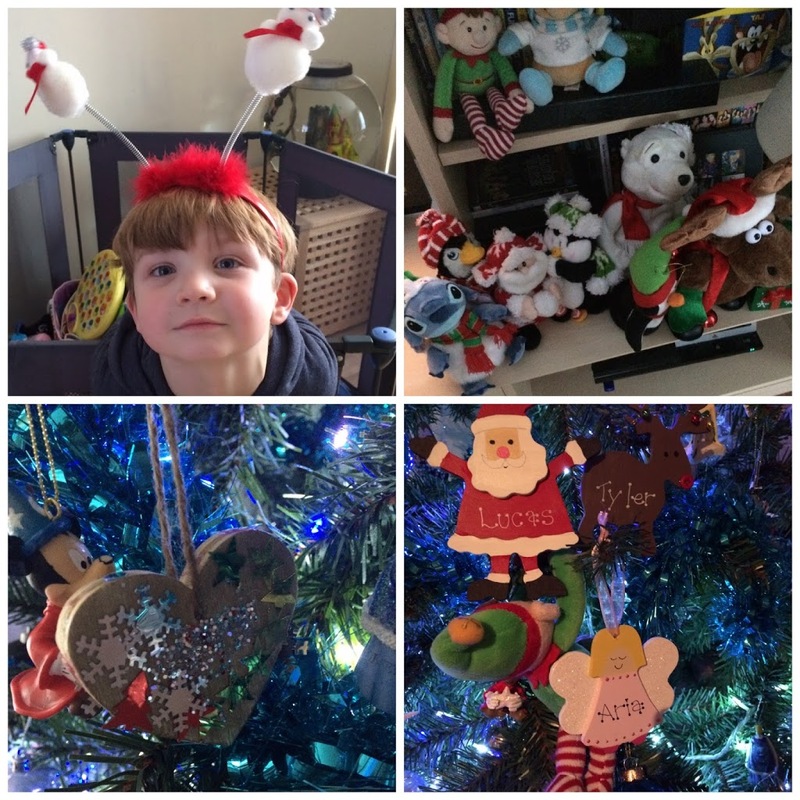 We love making Christmas decorations and it’s something we do throughout December, I’m sure you’ll see more. 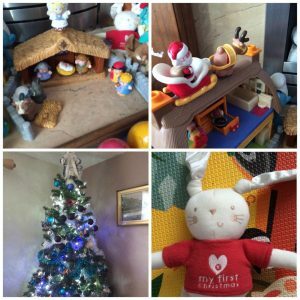 There’s still a few more sleeps to go and while we are waiting I’ve been following the Christmas Calendar Competition on the Mothercare Facebook page. 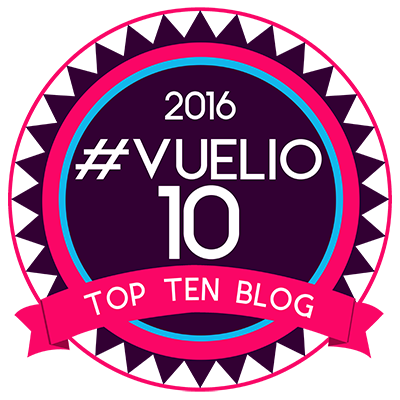 Have you checked it out, there are some great prizes to be won and some great offers to be had. I’ve treated the children to a few things from it already. A gorgeous handmade wooden snowman chalk board, joined us in our counting down the sleeps until Christmas this year. As you can see I’m a little behind in my count down, but I’ll catch up and have another post and what else we’ve been up to in a few days. What this space! 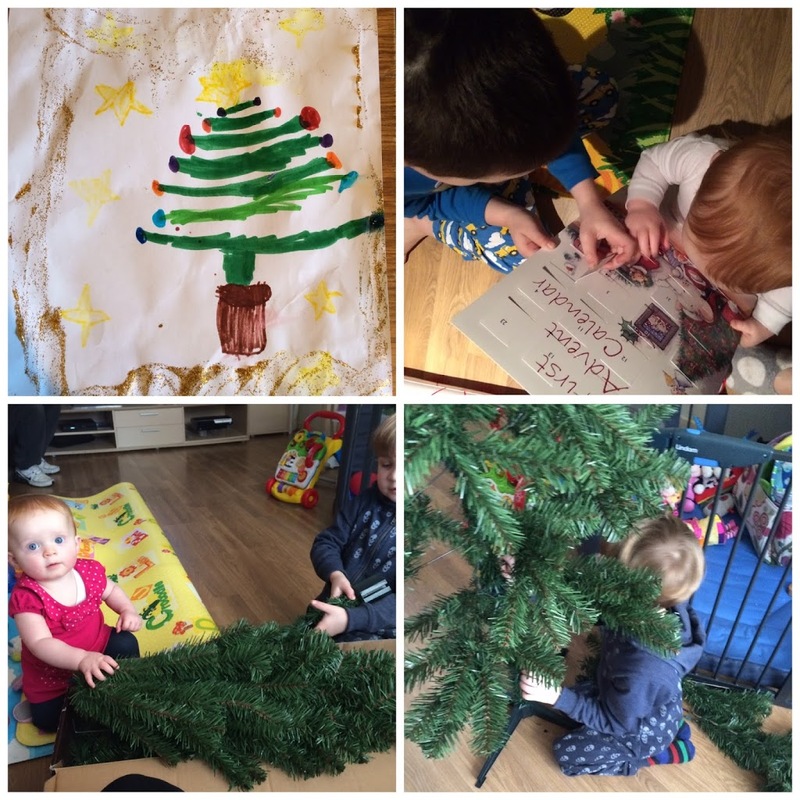 What traditions do you and your family have in the 25 sleeps to Christmas? 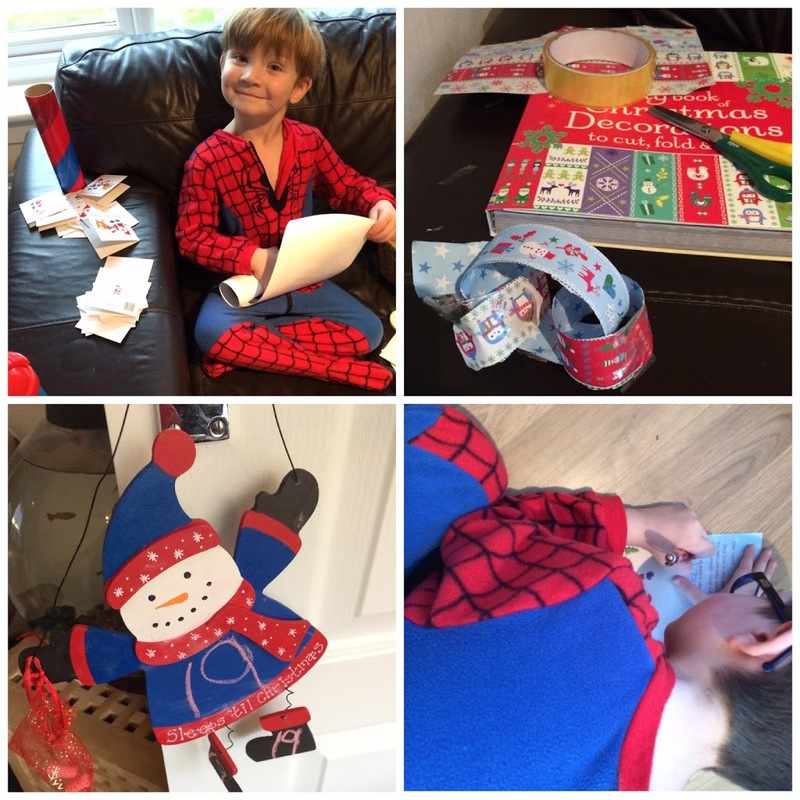 Disclaimer:- I was sent some festive pyjamas from Mothercare, but this is our story. Pregnancy - How's it all going?